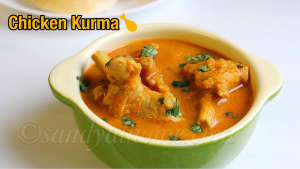 Chicken kurma/ Chicken Korma is a very flavorful and aromatic South Indian gravy prepared by cooking chicken pieces in coconut cashew paste to give it a rich taste. 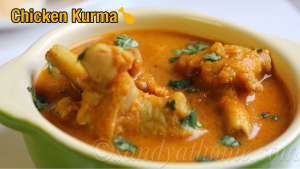 This chicken kurma is made with 3 freshly ground paste onion, tomato and coconut paste giving it a thick kurma consistency and also to add to its deliciousness. 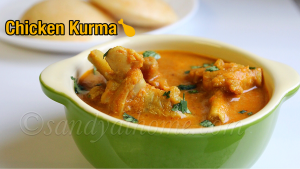 Chicken kurma can be served with idli, dosa, biryani, chapati and even plain rice as it goes well with most of the main dish. 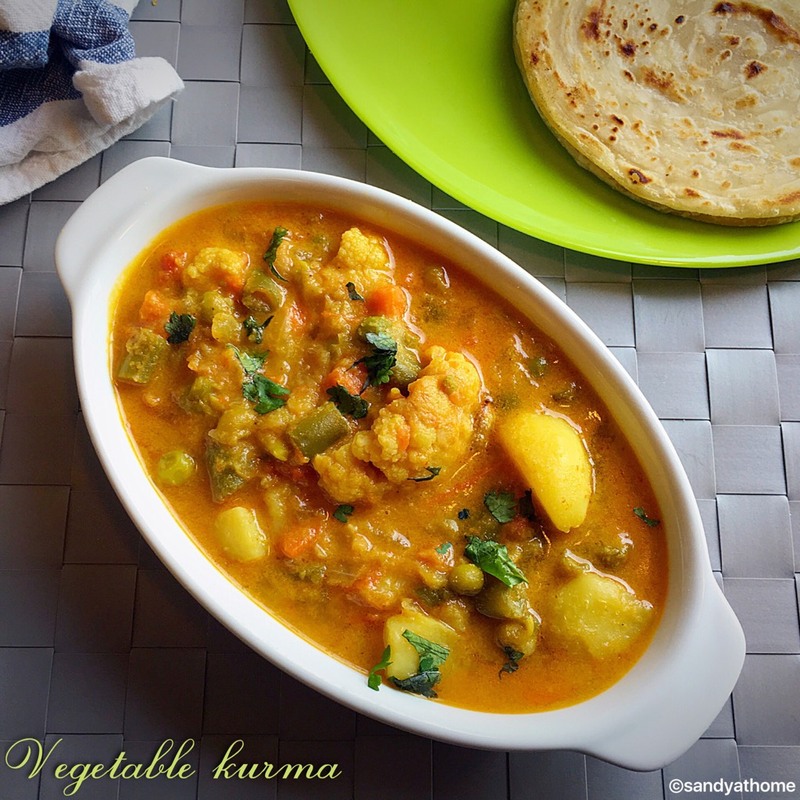 The below recipe is very easy to prepare and also demands few basic ingredients for its preparation and also does not require the use of pressure cooker. 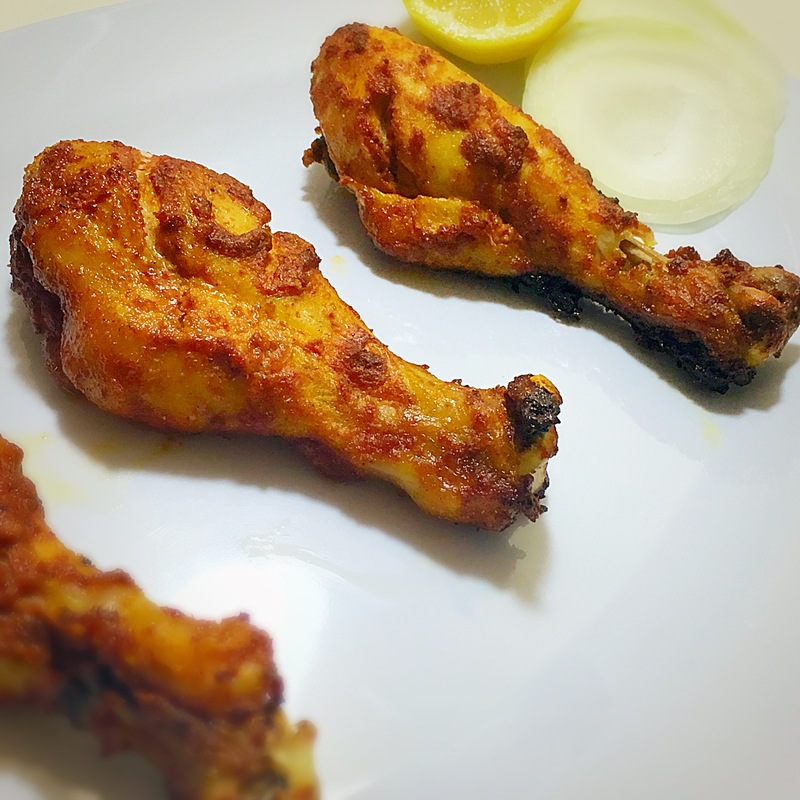 For this recipe i used chicken drumstick, which can be replaced with any piece of your choice. So lets get to the making! 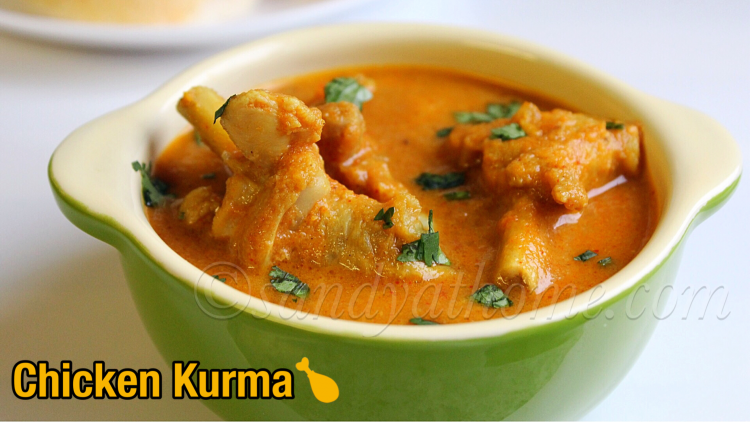 Clean chicken thoroughly and cut them into pieces of 3 or 4. Keep it aside. Chop onions roughly and add it to a blender. 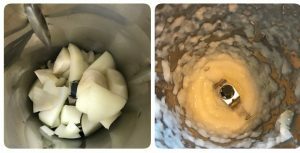 Grind it into fine paste without adding any water. Transfer the ground mixture to a bowl and keep it aside. 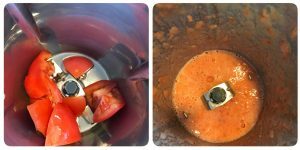 Chop tomatoes roughly and add it to a blender. Grind it into fine paste without adding any water. Transfer the ground mixture to a bowl and keep it aside. 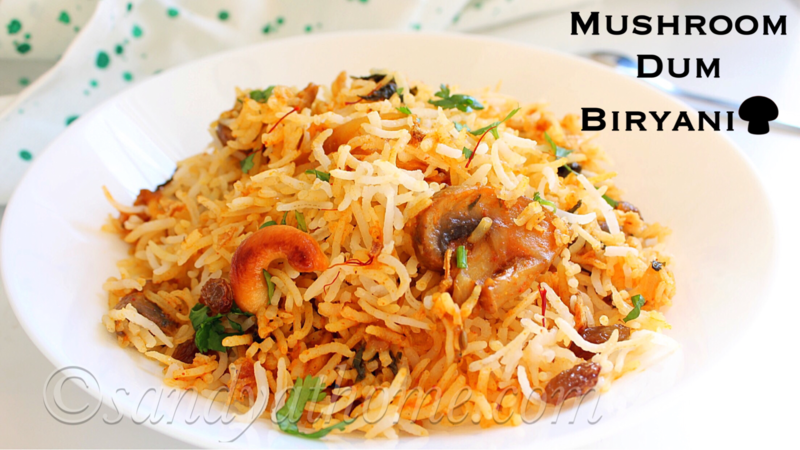 Now in a blender add grated coconut and cashews. Grind it into fine paste adding little water. Heat oil in a kadai/pan, add cumin seeds, bay leaf, star anise, cinnamon stick, clove and cardamom. 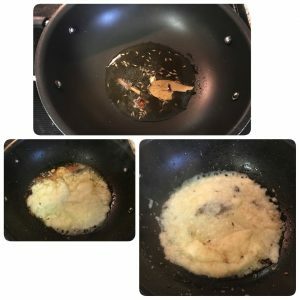 Give it a stir when aromatic add ginger garlic paste and saute it, then add ground onion paste to it and saute well until the raw flavor goes. Now add ground tomato paste, turmeric powder, red chilli powder, coriander powder, garam masala powder and salt. Mix well and allow it cook till raw flavor goes. Make sure to stay little far as it will splutter a lot. Now add the chicken pieces in it and mix well. 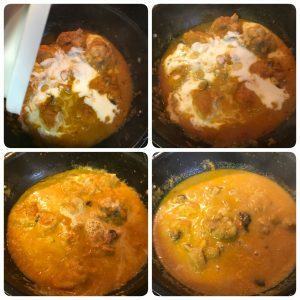 Cover the kadai/ pan with a lid and cook the chicken in medium flame without adding any water, as we want the chicken to get cooked from the water that it generates. But you can add little water if you need to. 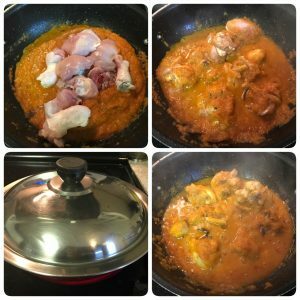 When the chicken looks done add the coconut paste and give it a good stir. 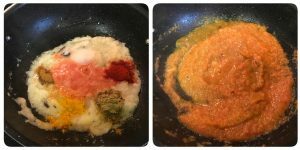 Allow the mixture to boil well and put off the flame when everything looks combined. 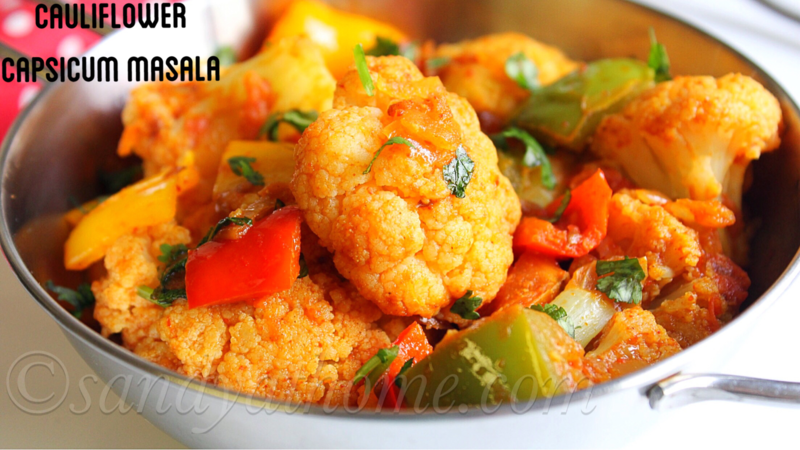 Garnish it with chopped cilantro and serve it hot with idli, dosa or rice!